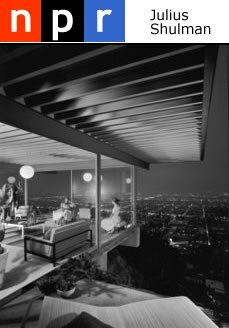 While taking in my daily dose of NPR stories this evening, I ran across a fantastic story on photographer, Julius Shulman. As a designer, I have a deep appreciation of photography and architecture. Shulman, who masterfully brings architecture to life through his work, has been a long time favorite of mine. Julius Shulman’s thoughtfully laid out images reflect his intimate relationship and understanding of the subject and world around him at the very least. Shulman has created a multitude of iconic images. The photograph above is entitled, Case Study House #22. To learn more about Shulman’s work, give the story a listen (or a read) at NPR.org.